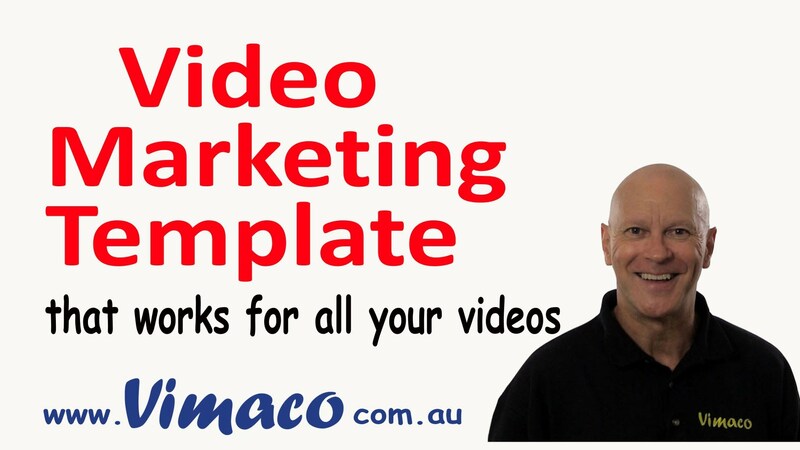 Is there such a thing as a video marketing template? A format that that will work time after time? Perhaps there is. Video presentations need a structure and this one that I will share with you, will work for all of your marketing videos. The Opening – Grab the viewer’s attention. In the opening 10 seconds, the viewer will decide whether your video will solve their problem. If not, they will click onto the next video link and be gone forever! So it is absolutely vital to initially grab their attention. This can be done through a number of ways such as the use of humour, surprise or urgency. Asking a provoking question or stating an unusual fact can also gain their attention. As video is a visual medium, consider using framing, lighting, graphics or animation. Once you have gained their attention, state clearly what the problem the viewer has and how you have a ready-made solution. At this point you need to build your credibility by giving examples of how your solution has helped many other people, just like your viewer. And now for the “Hook”. Give the viewer something that will entice them to watch the whole video by offering them a bonus free gift. The gift must be related to the solution eg. a free whitepaper , ebook or exclusive video. Once you have given the viewer a reason to commit to watching your video, use this period to brand your business. Use an animated logo intro that is visually enticing and positions your brand in a positive fashion. You want your viewer to remember your brand and return to you time after time. But your animated intro should not be longer than 5 seconds or you risk losing your viewer. This is especially important if the viewer watches a number of your videos in succession. Remind the viewer what you are going to tell them. 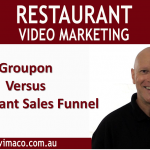 Emphasise the benefits they will receive from watching your video and how it will it solve their problem. Now is the time to deliver your promise and present your content. Break up your content into logical bite-sized pieces; a step by step format so that they can easily follow and remember. Using “Title Cards” or graphics between each point reinforces each step and is a more effective way of learning. Limit your video to 5 or 6 key points only. If you have more points that need to be covered, then consider a Part II or even a series of videos. This Content section is where you mustn’t hold anything back. Share your best information. If you’re thinking of leaving your best stuff until right at the end, you may be left with no-one to share it with. Once you have completed your main Content, summarise your key points and the benefits your viewer will gain by following them. List the points together like a powerpoint slide which again helps with retention. For all marketing videos, the CTA is the most important section of the video. After all, this is why you made the video in the first place. The CTA is directly related to your objective. Do you want to increase brand awareness, build a relationship, increase your mailing list, introduce a new product or service or make a sale? Be very clear what your outcome should be and focus on that one objective to maximise your success. To achieve your objective, you will need to tell your viewer what you want them to do. Maximising the number of viewers for your video is important, but at the end of the day, it’s the number of conversions that will determine the success or otherwise of your video. As with all templates, this is a useful guide to use for your marketing videos, but don’t be locked into it. Use your creativity and experience to make adjustments that will work best for your video.